19thc Brass Snuff Box. English. C1820-40. 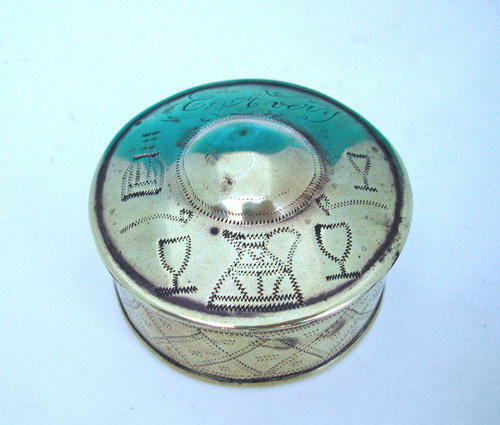 A real collectors gem....this Brass Tobacco/Snuff Box is engraved with a decanter , wine goblets and large handled jug with the name C. Avery on the lid and a Violin and initials J S on the underside......they don't come any better!